Thin, chewy, crunchy edges, soft insides, filled with malted milk powder and crushed whoppers- don’t they sound delicious? Preheat oven to 350F. Grease pan. Cream butter and sugar until light and fluffy, about 3-5 minutes. Beat in eggs and vanilla until just combined. In a separate bowl, mix together dry ingredients. Mixing slowly, add to the wet batter. With a spoon, mix in whoppers and chocolate chips. 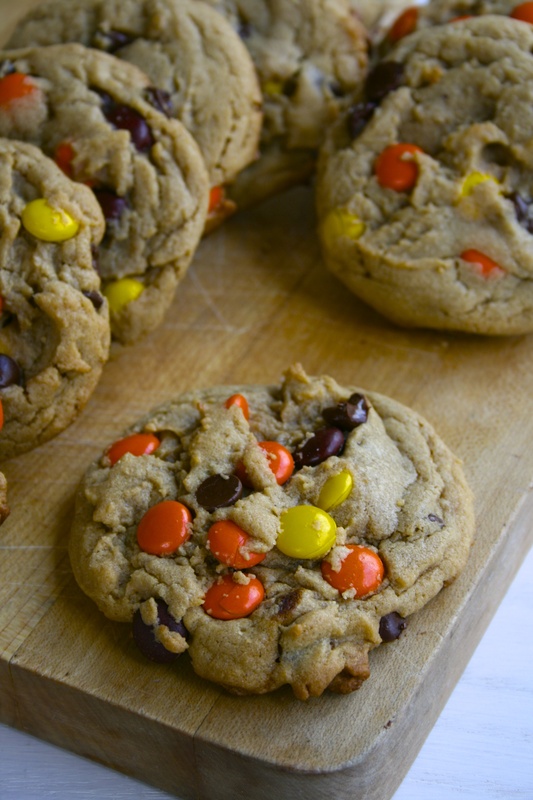 Thick, chewy, and soft cookies filled with reece’s pieces and chocolate chips- sound good? Oh, yeah, they’re also peanut butter cookies- told you they were amazing! Cream butter and both sugars together until fluffy. Beat in peanut butter until smooth. Cream in vanilla and eggs. In a separate bowl, whisk together dry ingredients and add slowly into wet ingredients. This is an amazing cupcake. 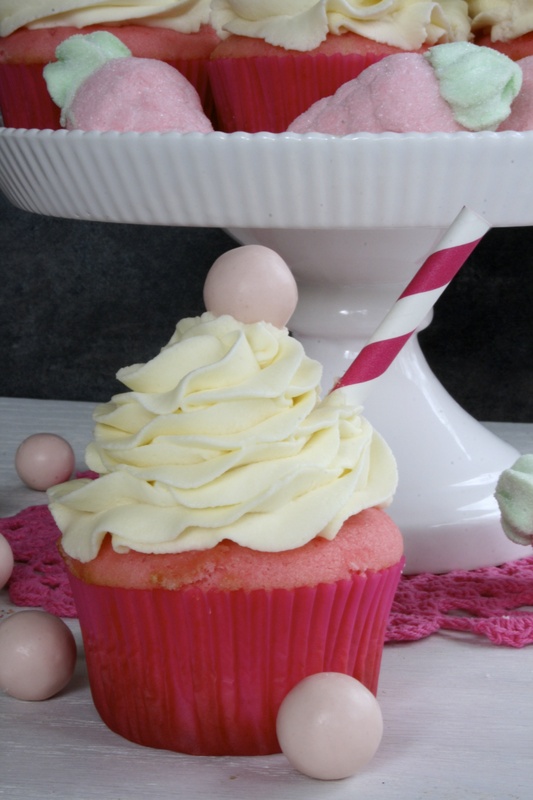 The cupcake is flavored with strawberry milk powder and the frosting is mascarpone; reminiscent of whipped cream. 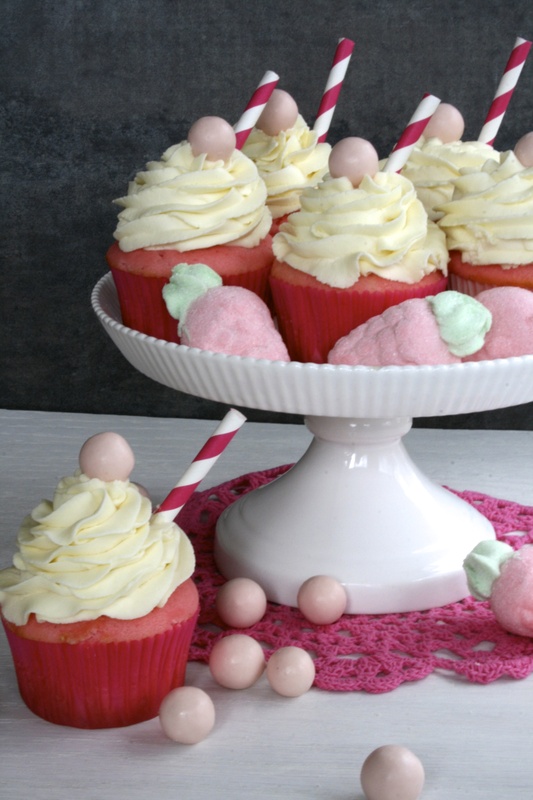 They’re topped with strawberry milkshake whoppers.The cupcake recipe is the white velvet butter cake recipe from The Cake Bible, so it’s velvety not spongy. Preheat oven to 350F. Line two two cupcake tins, one mini and one regular. In a medium bowl lightly combine egg whites, the 1/4 cup of milk, vanilla, and strawberry milk powder. In a large mixing bowl combine the dry ingredients, mix on low speed for 30 seconds to blend. Add the butter and 3/4 cup of milk. Mix on low speed until all ingredients are the same texture and combined. Increase to medium-high speed and beat for 1 and 1/2 minutes to develop the cake’s structure. Scrape down the sides of the bowl. Gradually add the egg mixture in 3 batches, beating for 20 seconds after each addition to incorporate the ingredients and strengthen the structure. Fill cupcake tins 3/4 of the way. Bake for 15-20 minutes or until a toothpick comes out with crumbs on it. In a small bowl, combine the mascarpone, cream, sugar, vanilla extract, and salt. Beat on low until almost smooth, 30 to 60 seconds. Increase speed to medium high and beat until the mixture is think and holds firm peaks. Pipe or frost onto cupcakes. I know I say this a lot, but these cookies are amazing! 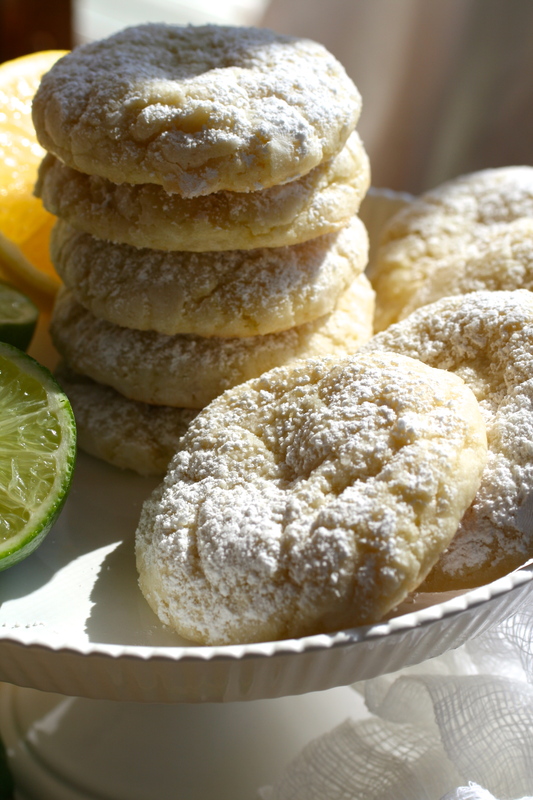 Soft, slightly chewy lemon-lime cookies coated in powdered sugar. So good. There’s a lot of zest in this recipe which makes this cookies pop with bright lemon-lime flavor. In a large mixing bowl cream the butter and sugar together with a hand-held mixer until light and fluffy. Add the egg, lemon juice, lime juice, lemon zest, lime zest and vanilla; beat until well combined. Scrape sides of the bowl, and mix for an additional 30 seconds. Add the dry ingredients to the bowl and stir with a large spoon until until combined. Refrigerate dough, in bowl, for 1 hour. Portion cookies about the size of an ice cream scoop and roll into a ball. Roll in the powdered sugar and place on the baking sheet. Refrigerate again, but only for 5 minutes. Bake for 10-12 minutes or until bottoms begin to lightly brown. 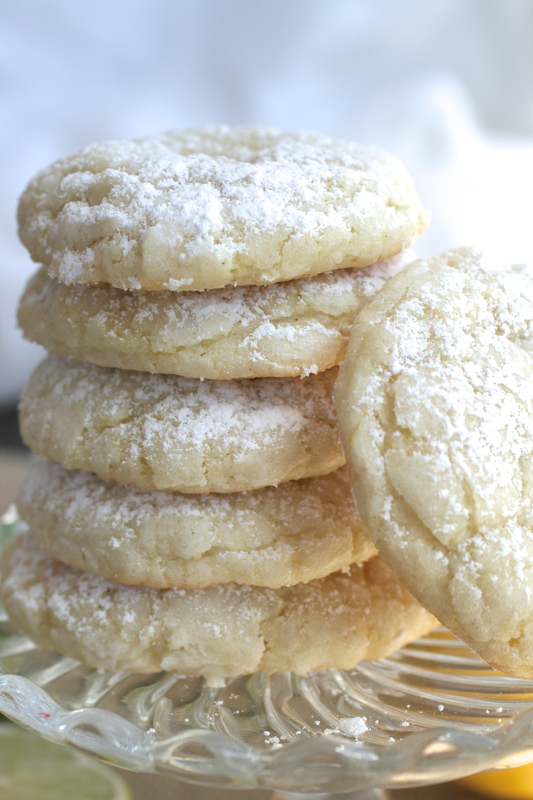 Optional: while still warm, sprinkle powdered sugar through a sieve onto cookies. Moist, fluffy chocolate cupcakes with a cherry in the middle, piped with cherry marshmallow frosting and covered in chocolate ganache, so, so, good. All the textures and flavors work perfectly together. 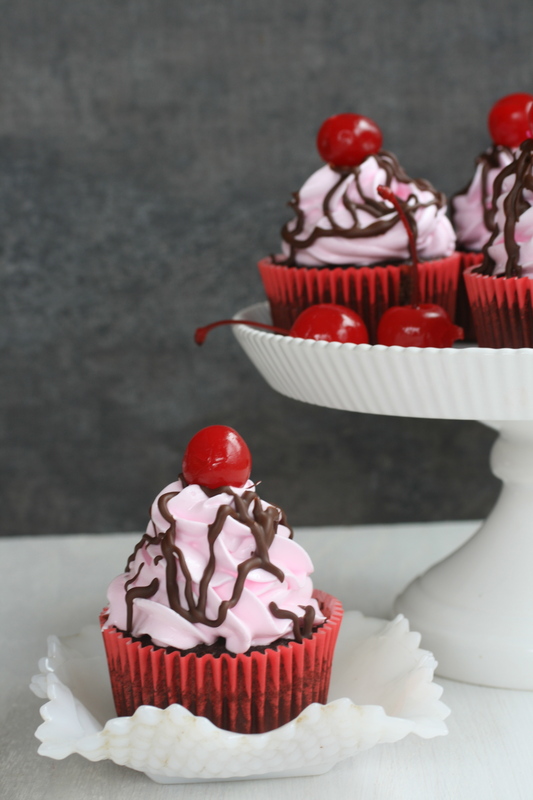 If you like chocolate and cherries you will love this cupcake. Heat oven to 375F. Line cupcake tin with wrappers. Add the egg, vanilla, buttermilk, sour cream, almond and vanilla extract. Beat on medium-high speed for 2 minutes or until smooth. Fill cupcake liners 2/3 of the way. Bake for 15-20 minutes or until a toothpick comes out clean. 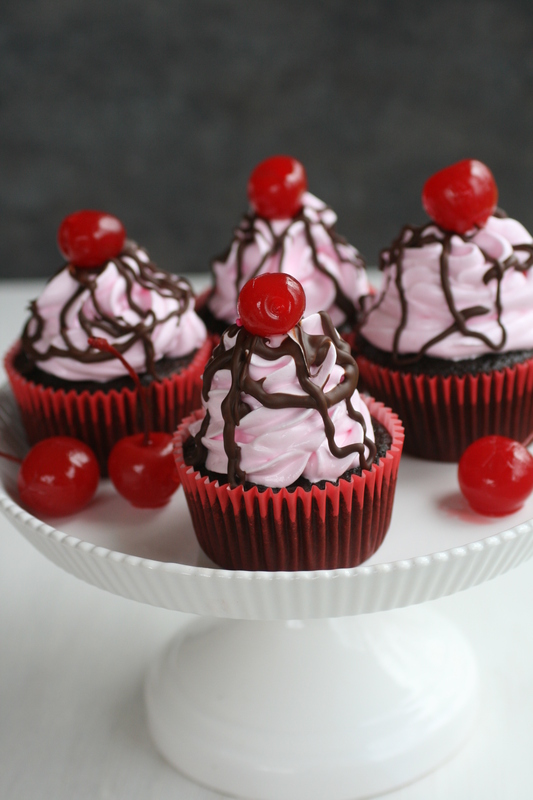 After 5 minutes put a frozen cherry in each cupcake. Finish baking. Let cool for ten minutes on a wire rack then take cupcakes out of tray and let finish cooling. In a small saucepan, combine sugar and water, bring to a boil over medium-high heat. Stir constantly until sugar has dissolved, 2-3 minutes. In a medium bowl, beat the egg whites, salt, and cream of tartar until soft peaks form. With the mixer at medium-high speed, carefully pour the sugar syrup into the egg whites. Continue beating the frosting until thick, cool, and billowy, about 5 minutes. Beat in cherry extract and almond extract. Place in freezer until frosting is hard, or able to stand up to the ganache. 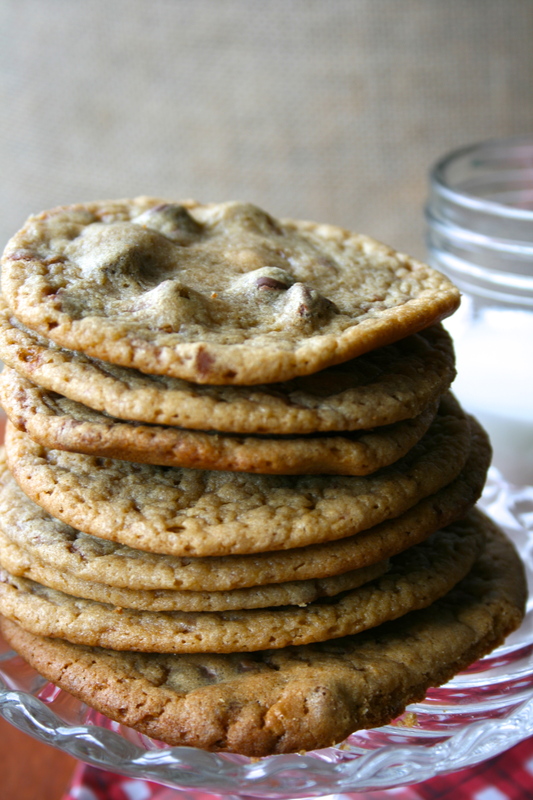 Mix the chocolate chips and vegetable oil in a small glass or metal bowl. Set the bowl over a pot of simmering water. Stir mixture until melted and smooth. Let sit for 15 minutes. Spoon over chilled cupcakes, place back in freezer or fridge to harden. 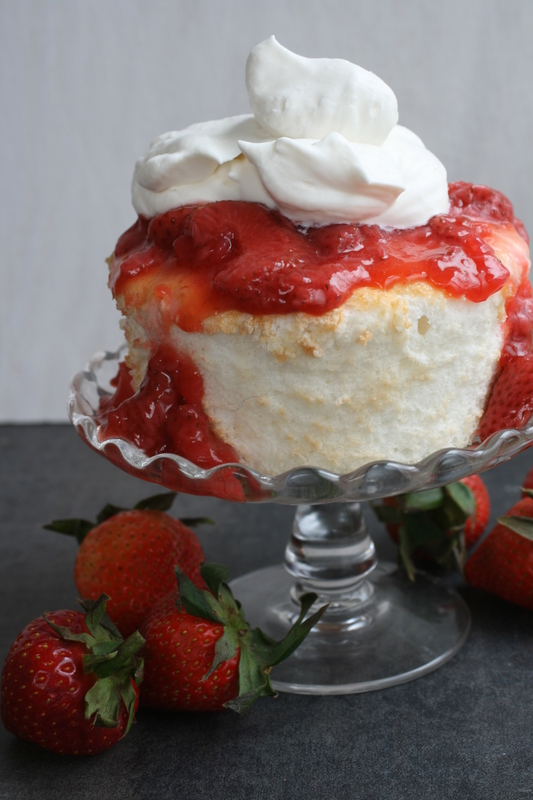 Light and fluffy mini angel food cakes with homemade strawberry syrup and creamy whipped cream, sounds good, right? It is. These two cakes are amazing. You have to try these right now. Seriously, drop everything and make these. Beat egg whites until frothy, then add cream of tartar and salt. Beat until fully incorporated. Then begin to add the remaining 3/4 cup of sugar 1-2 tablespoons at a time. When sugar has been added, beat egg whites to soft peaks. Soft peaks are when the egg whites stand up then droop when you lift the whisks up. Don’t be afraid to slow down the mixer and check a few times as you get close. Do not beat all the way to stiff peaks. Once you have soft peaks, add the vanilla and beat for a few seconds to evenly distribute. Sift the flour/sugar mixture over the egg whites in 6-8 addition and gently fold it in after each addition. It is better to take your time and do it gently than to rush and deflate the egg whites. Spoon batter into two ungreased mini tube pans with a removeable bottoms. Smooth the top with a spatula and tap the pan on the counter once or twice to ensure that there are no large bubbles lurking beneath the surface. Bake for 30-35 minutes or until the tops spring back when touched. .Allow to cool completely or overnight on a wire rack. Bring to a boil for a few minutes then cook over medium heat for about 30 minutes. 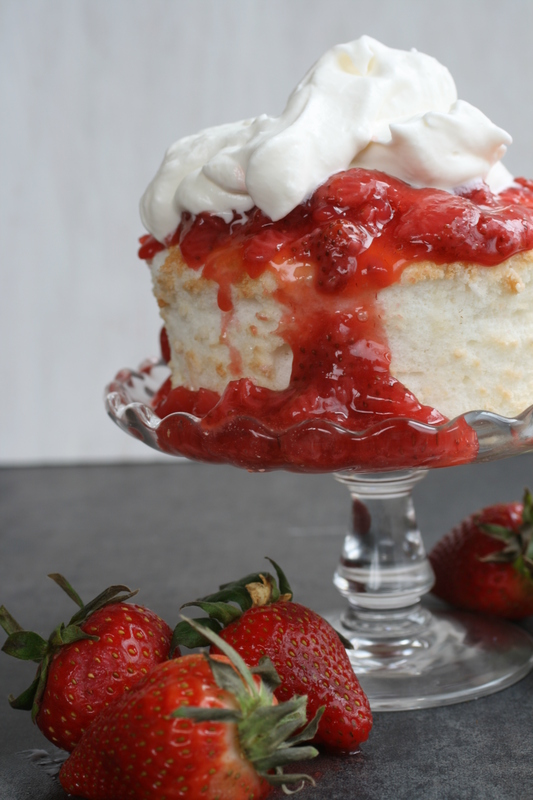 Serve warm or cold over the angel food cake. Freeze a small bowl and mixers for 15 minutes. Beat all the ingredients until soft peaks form. 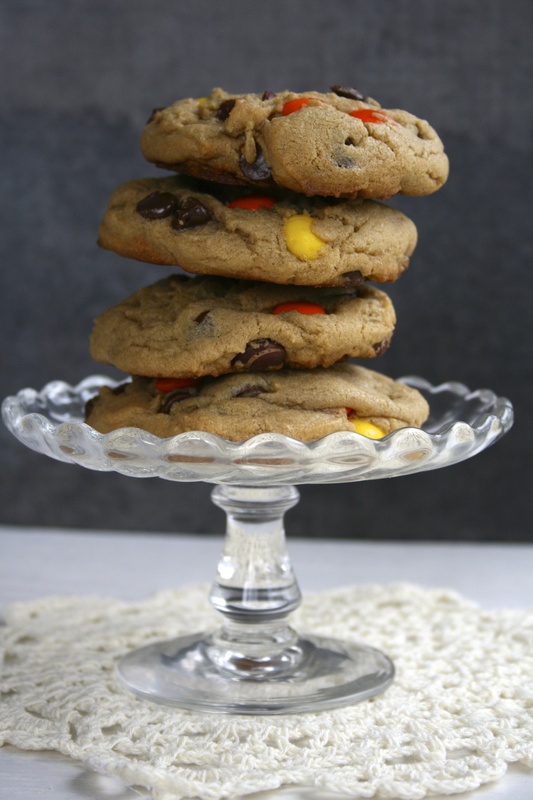 So, these aren’t the prettiest cookies you’ve ever seen, but they are the tastiest. 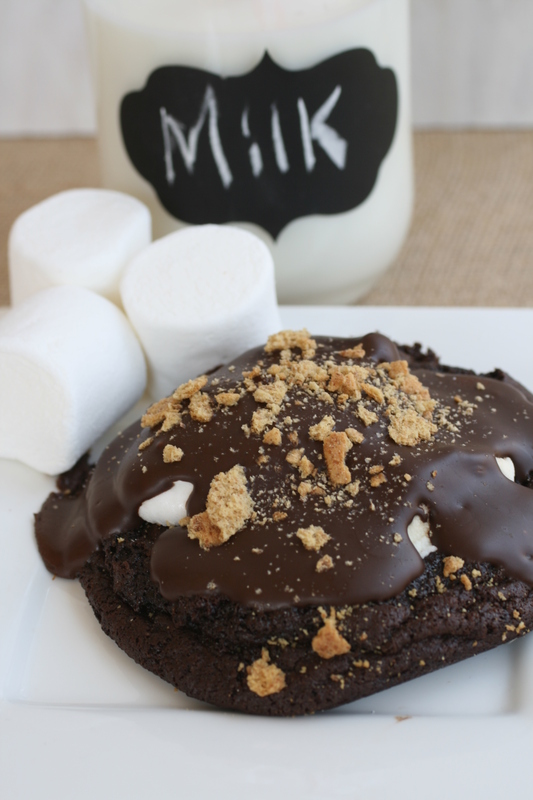 A layer of fudgey brownie cookie topped with marshmallows and graham crackers, then covered in chocolate ganache. Yum. They taste exactly like s’mores. Remove bowl from heat and quickly stir in brown sugar. Wait four minutes, until the batter is no longer hot. Stir in vanilla and then add eggs one at a time, beating hard after each one. When the batter is shiny and well blended, add the flour, baking soda, and cornstarch. Stir until fully incorporated, then continue beating for at least 60 strokes. The batter will be very thick. Preheat oven to 350 and bake for 12-15 minutes. After about 5 minutes push down with a spoon the middle of the cookie and, using about 1/3 cup, sprinkle graham cracker crumbs in the indent. Also stick marshmallow in the indent. Melt chocolate and vegetable oil together in a small pot over a pan of simmering water. When smooth, remove from heat and let sit for 15 minutes. Pour gently over cookies. Sprinkle the remaining graham cracker crumbs over the melted chocolate. Pop the cookies in the fridge for a few minutes if you want the ganache to harden. Best. Cupcake. Ever. 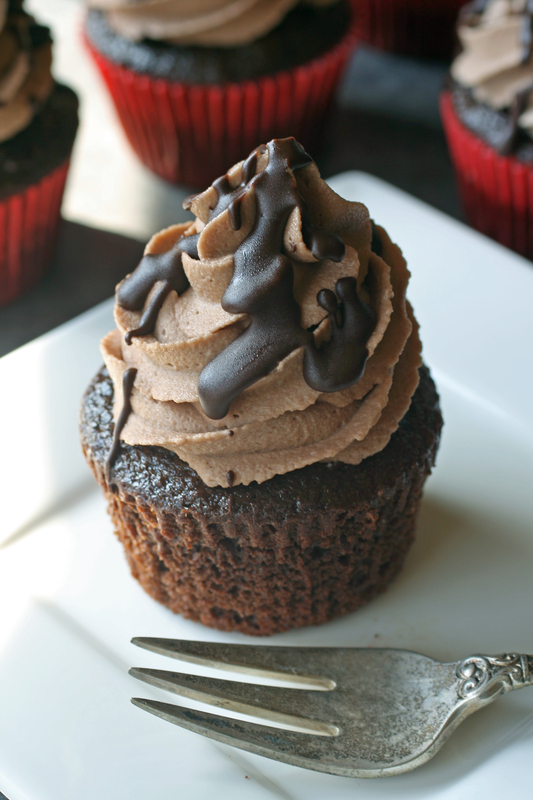 Seriously, a fluffy chocolate cupcake filled with hazelnut whipped cream, topped with nutella buttercream (the best frosting EVER), and all of that made perfect by a drizzle of chocolate ganache. Can you say perfection, anyone? Add the egg, vanilla, buttermilk, sour cream, and vanilla extract. Beat on medium-high speed for 2 minutes or until smooth. Chill bowl and whisks in the freezer for at least 15 minutes. Whip the heavy cream until it forms soft peaks, then slowly add the sugar. When the heavy cream forms stiff peaks, fold in the pureed hazelnuts. Core the cupcakes and fill with the cream. Store in the fridge. Whip the butter by itself for at least 3 minutes. Add the nutella and whip together until uniform in color. Slowly beat in the powdered sugar, alternating with the heavy cream. 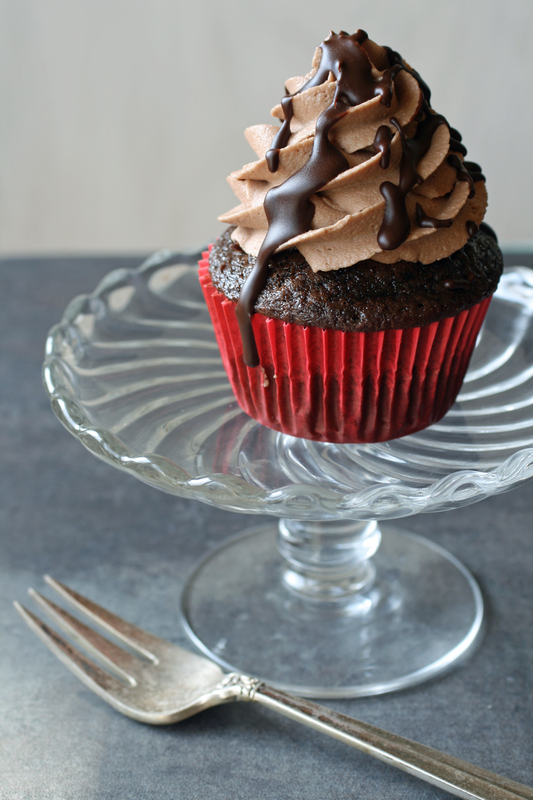 Pipe frosting onto cupcakes, then store cupcakes in fridge. 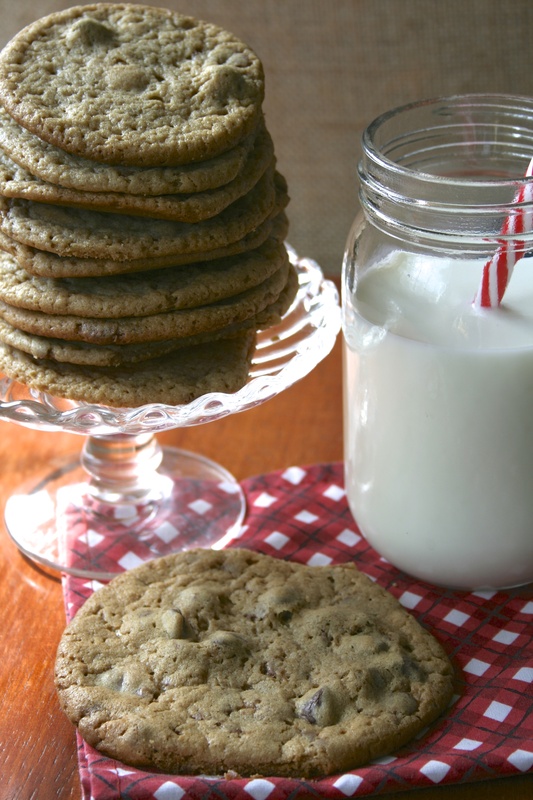 Mix the chocolate chips and vegetable oil in a medium sized glass or metal bowl. Set the bowl over a saucepan of simmering water. Stir mixture until chocolate is melted and smooth. Let it sit for 15 minutes.